»News»Last Day to Buy Discounted Tickets Tomorrow (Thursday), February 2nd! Last Day to Buy Discounted Tickets Tomorrow (Thursday), February 2nd! 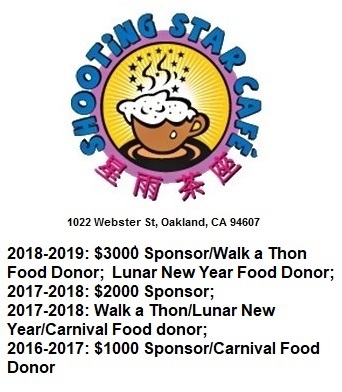 “Presale Lunar New Years tickets will continue to be sold before school through Thursday, February 2. Tickets are $5 for ages 13+ and $3 for ages 3-12. Children under 3 are free. For every ticket purchase, you will receive one free raffle ticket. Raffle prizes include tickets for Oakland Zoo, Fairyland, and 2 bicycles. Tickets can be purchased in the mornings at the school entrance before the bell rings. Children who are performing do not have to purchase tickets. All adults will require a ticket purchase. Click here to download Volunteer Sign-Up Form in English! Click here to download Volunteer Sign-Up Form in Chinese!